At 59 years of age I had a dream that one day I could ride a Harley Davidson Motorcycle. I had never ridden or even been a pillion passenger on a motorbike in my life before. 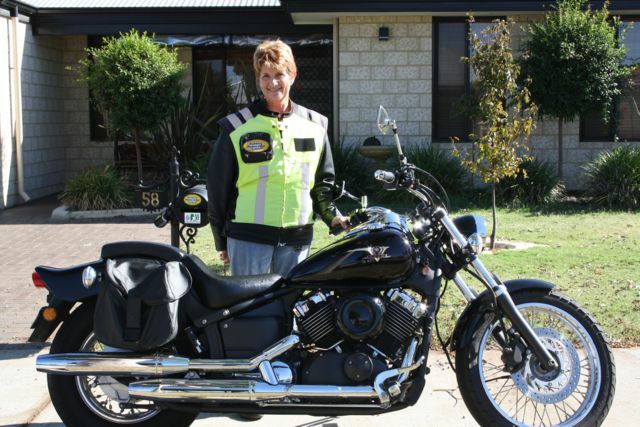 So very bravely I gave Bunbury Motorcycle School a call to make a booking for my first lesson. That was the best decision I have ever made in my life, because I not only achieved the most important part of my dream which was getting my bike license, but I met the 2 most motivational people in my life who helped me believe in myself. Drew helped me to do what I thought was impossible, now I know nothing is impossible if you want something badly enough. So if you want to spread your wings and move out of your comfort zone give Drew & Tamla a call at Bunbury Motorcycle School.